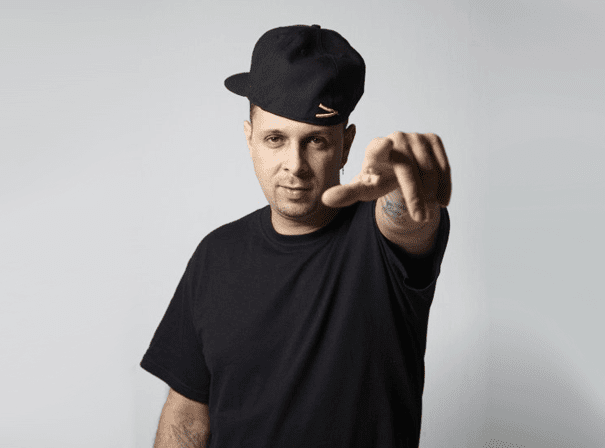 Born Joseph Anthony Hernandez, American DJ, producer, MC, singer, songwriter, and break-dancer Tony Touch has remained a central figure in rap, hip-hop, reggaeton, and house music for over three decades. His varied studio albums, mixtapes, and collaborations have featured big-name artists like Eminem, Mos Def, Busta Rhymes, Method Man, P. Diddy, Fat Joe, Sean Paul, Nina Sky, and Snoop Dogg, selling over a million records worldwide. Touch toured the world several times, performing in countries like Switzerland, Singapore, Brazil, Germany, Spain, the US, and Canada. Seamlessly blending his Puerto Rican roots with his impeccable artistry and musicianship, he’s become an sensationally popular artist within the urban Latino community. Originally a B-Boy in the 80s, performing to the music of Grandmaster Flash and Jam Master Jay, Touch eventually switched gears to see what he could produce on the turntables. His rap influence combined with the salsa music he heard at home was influential to his style, which would go on to secure club gigs and spots on tour with Guru, The Roots, and many others. Two of his mixtapes, ’50 MCs Part 1’ and ‘50 MCs Part 2’ took home the Best Freestyle Award at the Mixtape Awards. Now a household name in the hip-hop industry, Touch can be heard hosting Sirius XM 45’s Toca Tuesdays and his own flagship show Funkbox every week. Upcoming dates and project announcements can be found on his official website.